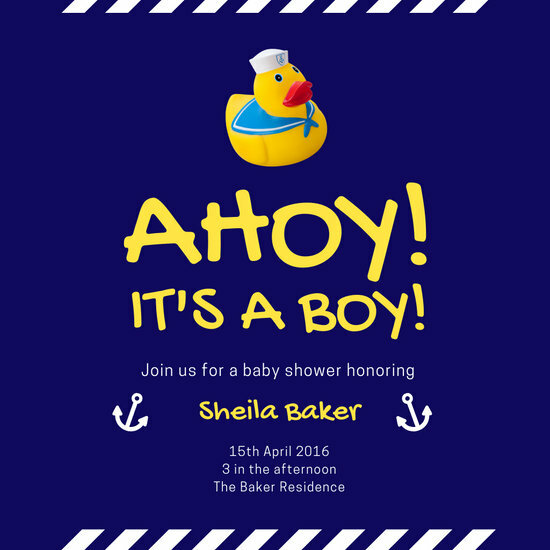 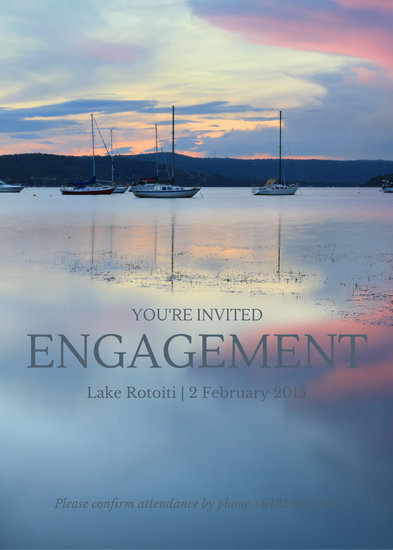 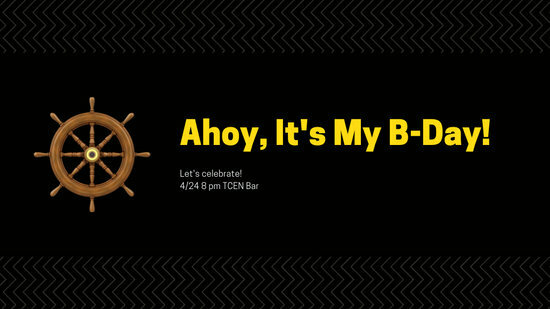 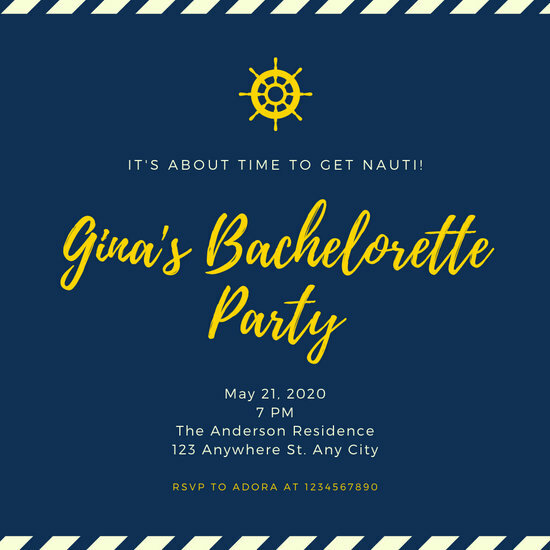 Get onboard the nautical trend and throw a themed party complete with custom invites effortlessly designed with Canva. 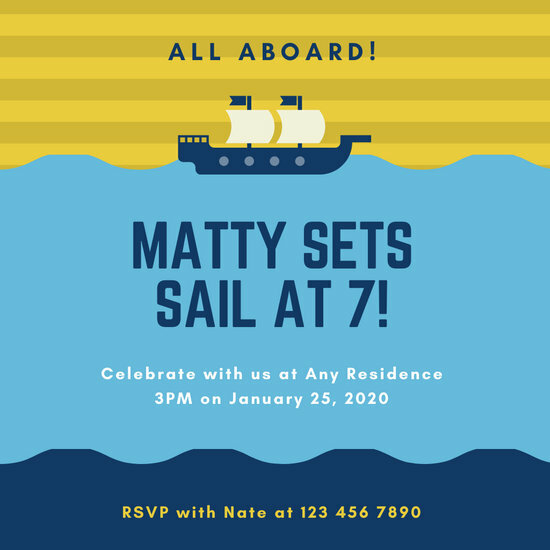 Who doesn’t love stories about sailing the seven seas and braving stormy waves with a crew by your side? 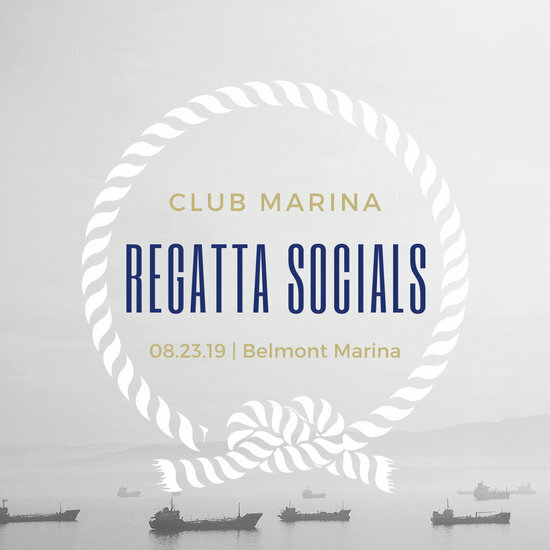 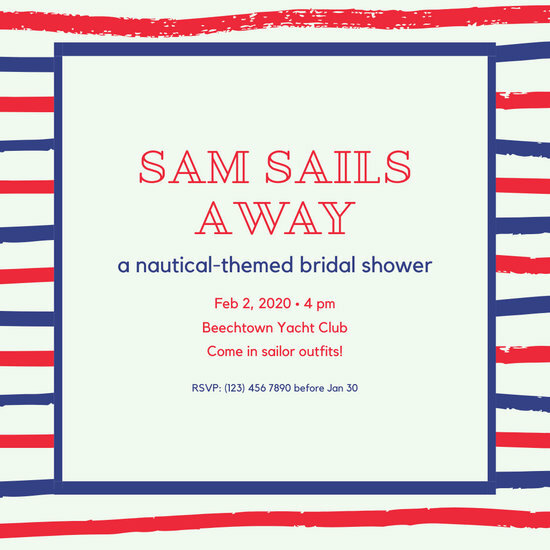 The nautical theme is popular for a lot of reasons: it signifies adventure, it has a classic, novel feel surrounding it, and it also serves as design inspiration for art, fashion, and even parties. 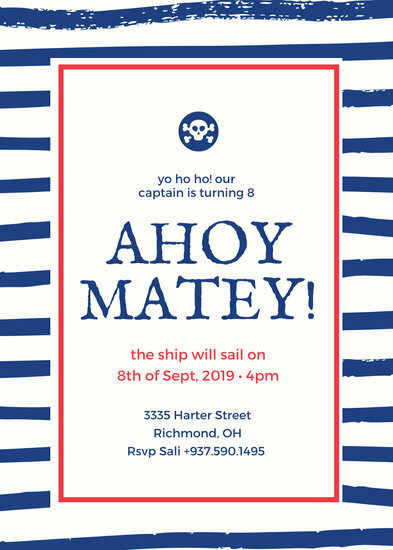 Hosting a nautical-themed party, or simply helping plan one, allows you plenty of room to be creative. 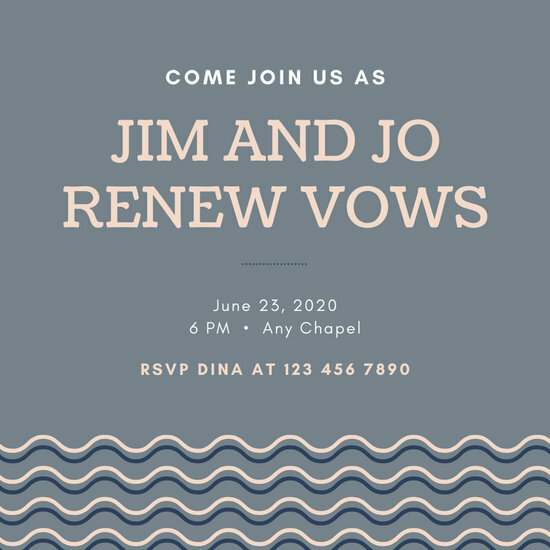 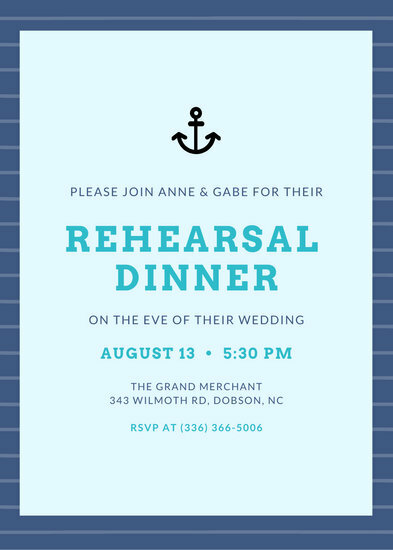 This fun and attractive motif lets you incorporate your love and appreciation for the sea into even the smallest details, such as the refreshments and the invitations. 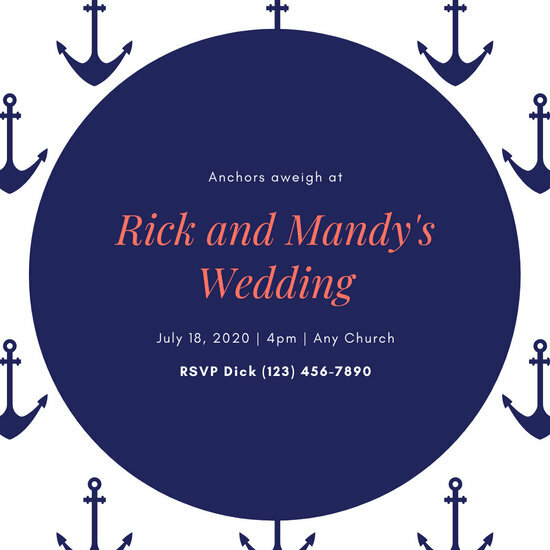 Use makeshift anchors, sails, and decks to decorate! 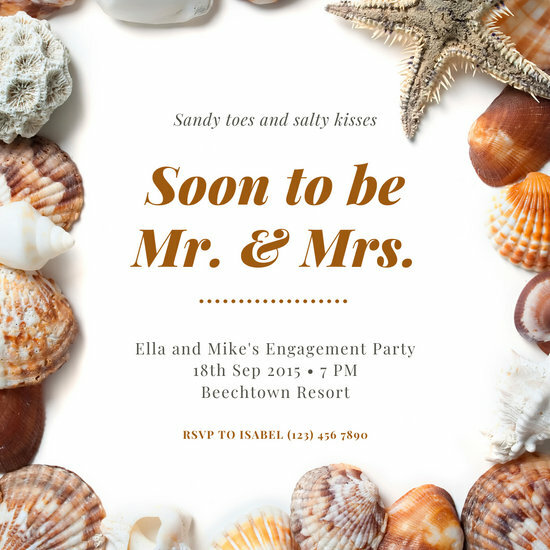 Start with the party invitations! 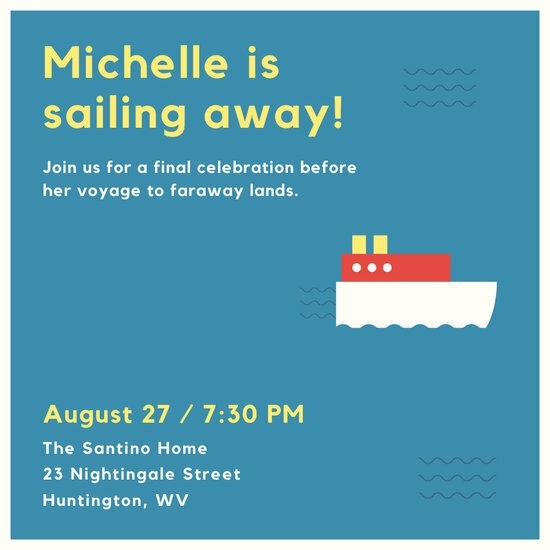 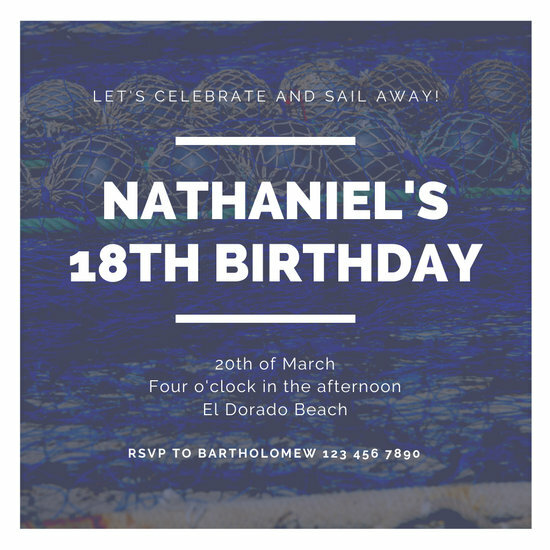 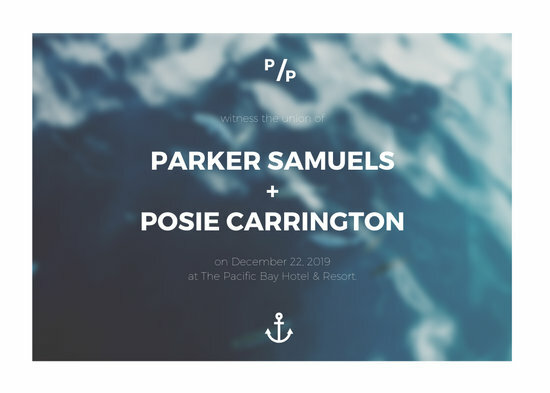 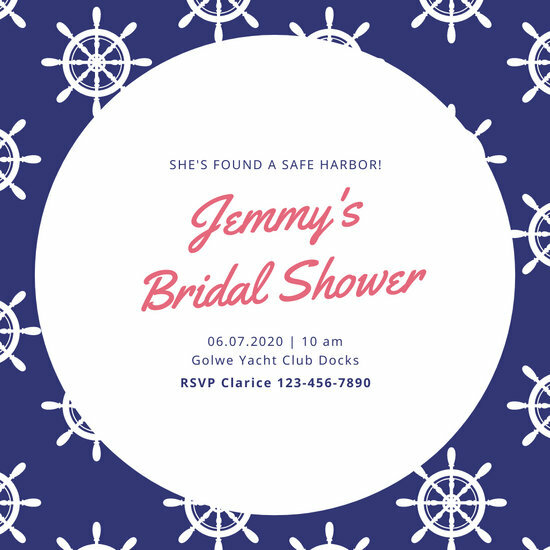 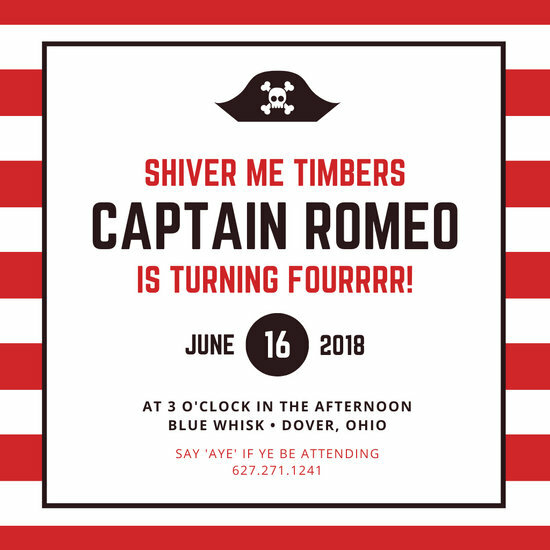 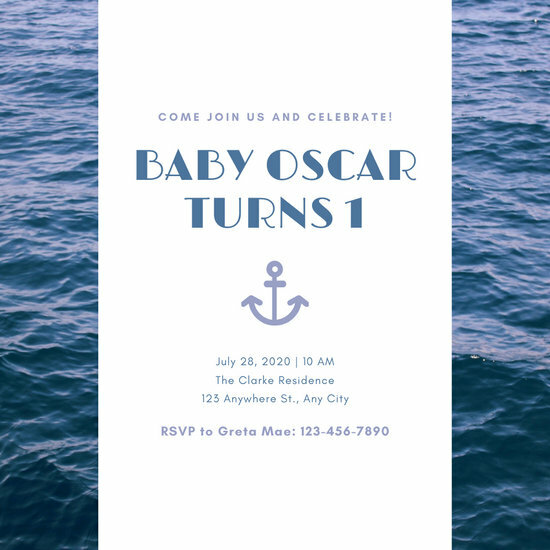 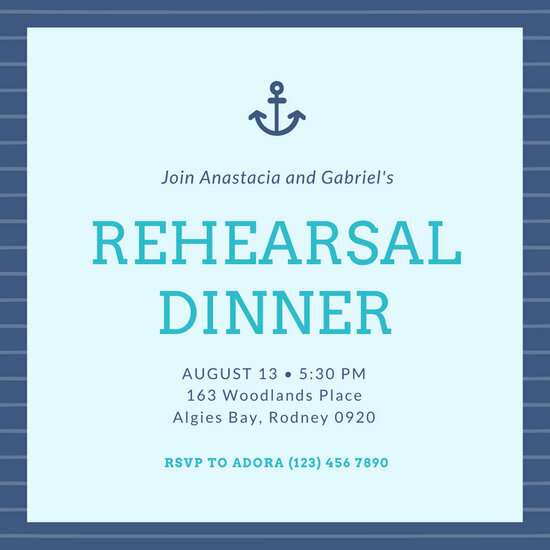 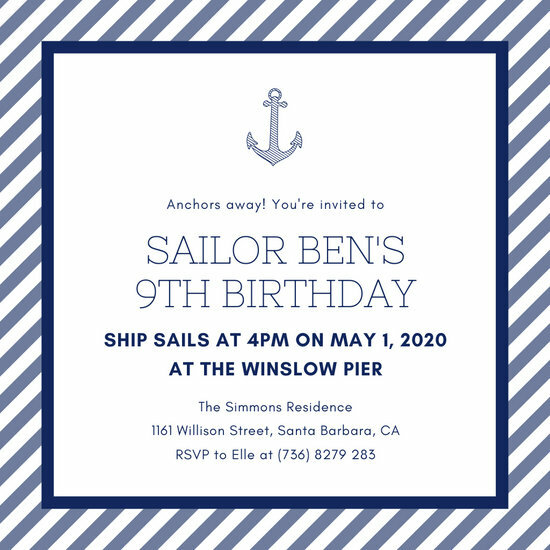 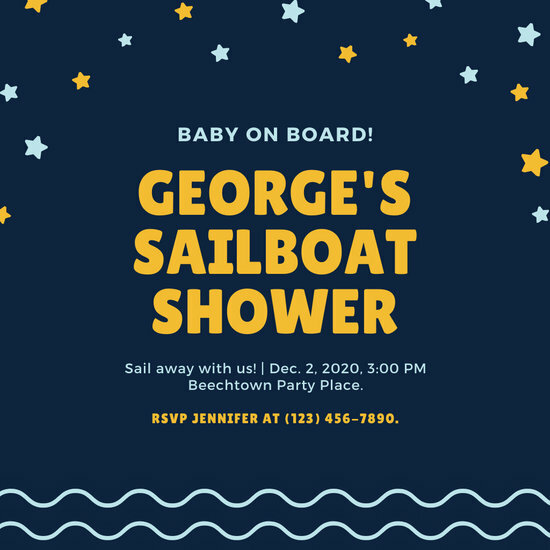 Canva has a collection of stunning nautical party invitations you can choose from, all of which are easily customizable. 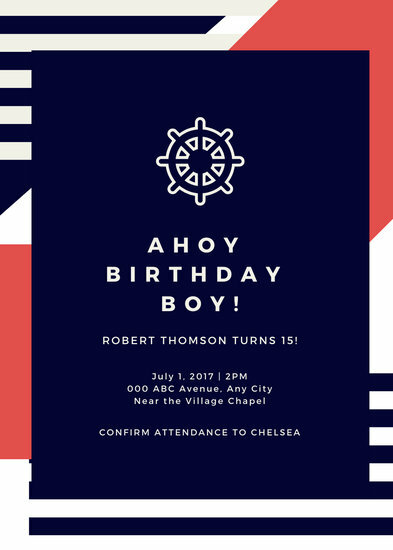 Once you find a design to your liking, turn it into your own unique work of art using handy editing tools on the interface. 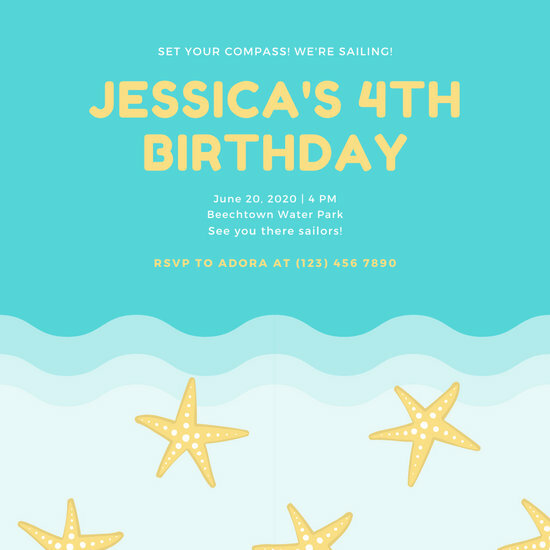 Use stock photos or colored, patterned graphics for the background, or better yet, upload images straight from your computer. 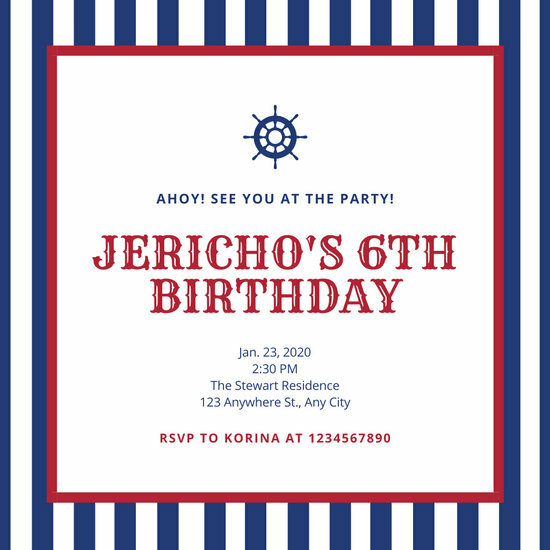 Then, outline the event details with the help of a text tool. 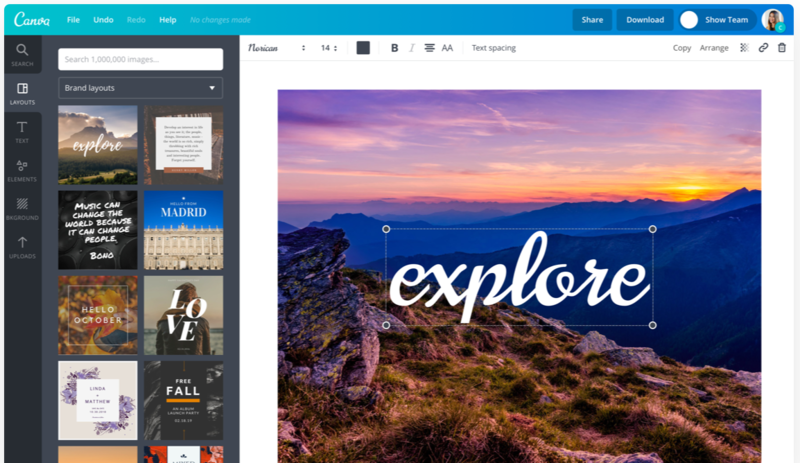 This feature lets you combine typefaces, resize letters, and align them however you wish. 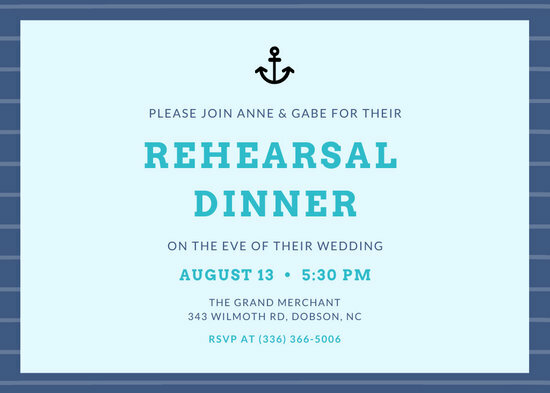 Choose your preferred shade of red and blue using the color palette generator, and browse more nautical icons and illustrations for the perfect finishing touch. 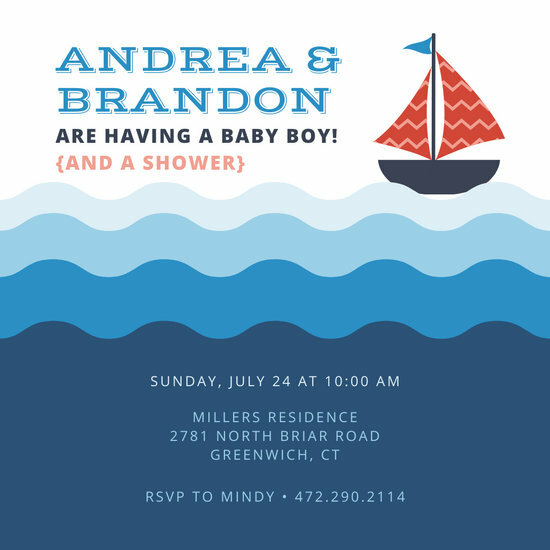 When you’re finally happy with the design you’ve come up with, you can save it and share it with your friends directly from Canva, or print it out for distribution.